This is the card we made at our Group Meeting last night. We've been donating bundles of cards to local organizations like Woodland Hospice and the Commission on Aging - they've been using them as prizes for their Bingo games! If you know of a local organization that could benefit from our hand-made cards, just let me know! We start this card with a Pool Party card base, then added another layer of Pool Party card stock embossed with the Arrows Embossing Folder to give the card some texture and depth. 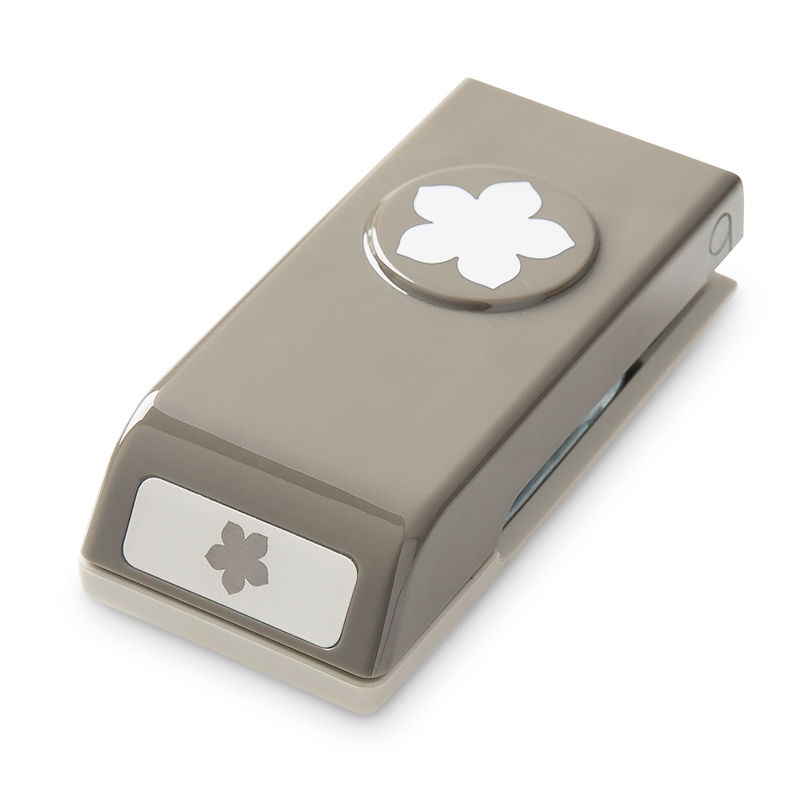 Then, we stamped those beautiful flowers (from the appropriately named Beautiful Bunch stamp set) in Island Indigo ink - the smaller flowers were punched out with the coordinating Petite Petals punch and popped up on Dimensionals. We also stamped the "Thinking of You...." (from the Thoughts & Prayers Stamp Set) in Island Indigo ink. I decided to separate the 2 sentiments on this stamp - just by cutting the rubber between the "Thinking of You..." and the "Please know that I care." sentiments. 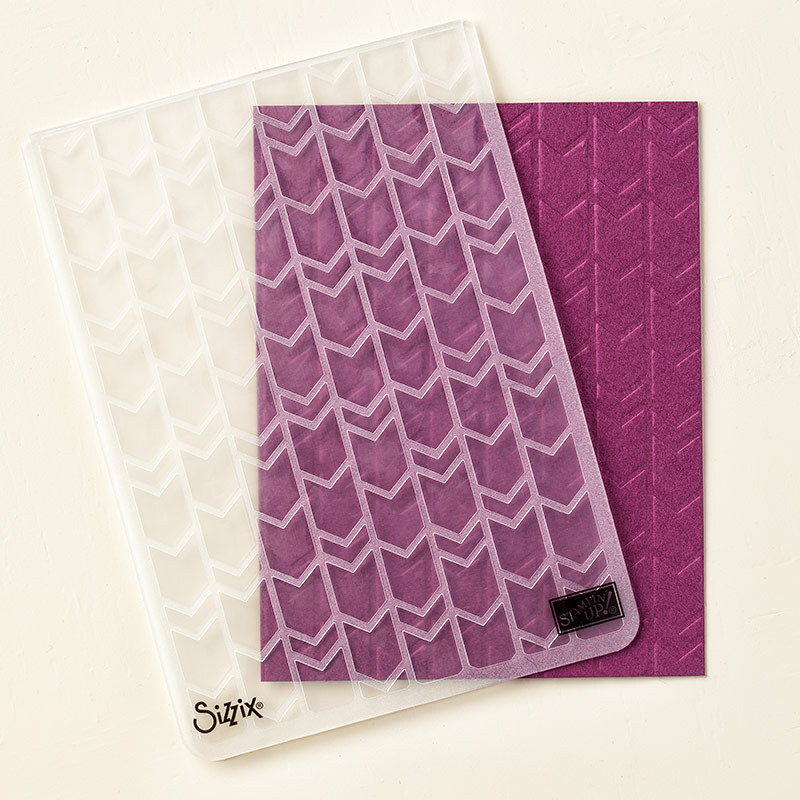 Finally, we added a small "loop" of Island Indigo Chevron Ribbon to the side of the card - again to give the card a little texture and dimension! I love the cool fold in this card! It's the same size as a regular card that we would make - it's just scored in different places! This card measures 4 1/4" x 11", then we scored the long side at 2 3/4" on both ends so that it folds nicely together. 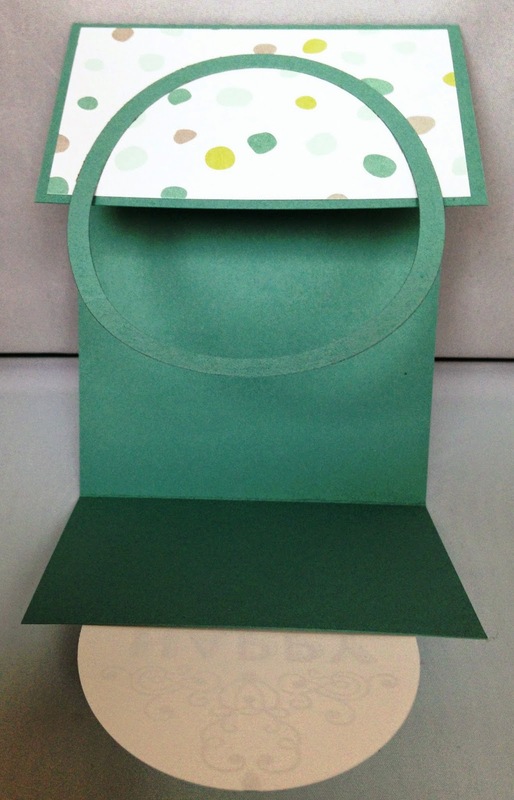 Next, we added two small pieces of the All is Calm Specialty Designer Series Paper to the front folds of the card. 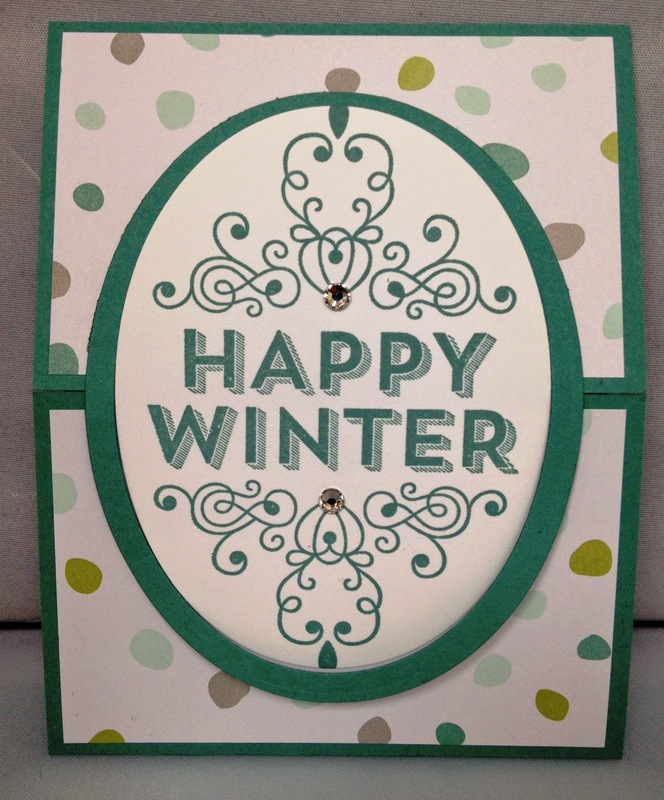 Then, we stamped Happy Winter (from the Wintertime Stamp) in Lost Lagoon ink and die-cut it with the Oval Framelits. We also made that neat Oval frame around the sentiment using the Oval Framelits - I found it was easiest to die-cut the smaller oval first, then lay the larger Oval Framelit around it and die-cut that. We adhered the sentiment to the bottom flap of the card and then the oval piece to the top flap of the card - it creates a neat opening for the card! 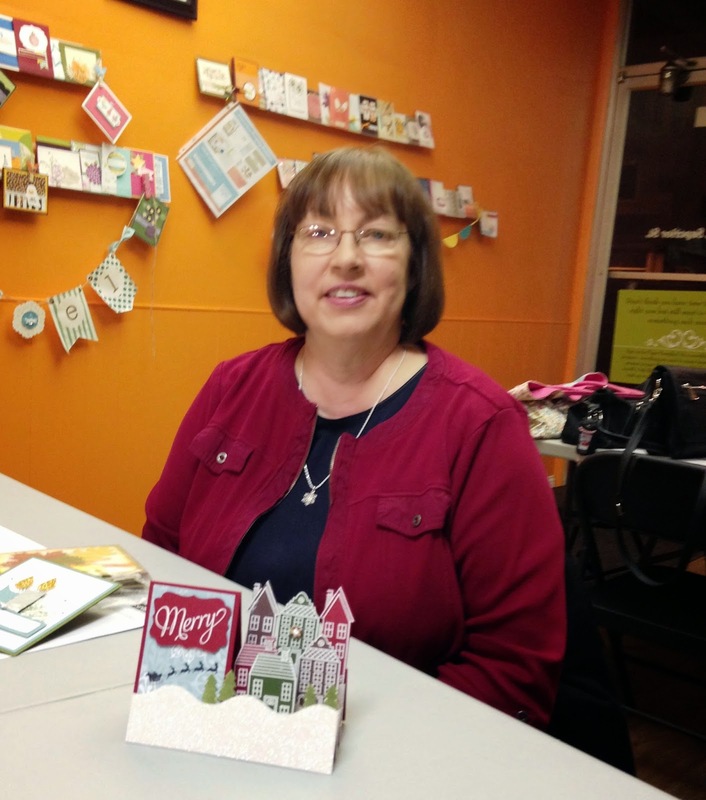 Linda had 2 projects to share - one was a holiday card and the other was a beautiful holiday home decor item! If you'd like to join us at our next Group Meeting, we meet the 3rd Tuesday of every month at 7pm. The next meeting will be on Tuesday, January 20, 2015 at 7pm. We're combining our December Group Meeting with our Christmas Party - on Thursday, December 4 - we'd love to have you join us then! !